Tina Charles is the personification of the WNBA’s mission to inspire others both on and off the basketball court. Tina is not only an outstanding athlete, but a generous giver who funded the full cost of an elementary school in Western Africa. We are so proud of her accomplishments. She has always been generous. She has always been selfless with everything, and if you don’t know her, you wouldn’t know that about her. She is always giving. The thing I love about her is it is not about just writing a check and saying, ‘I did this, it’s a tax write off.’ For her, to see it happen, to be excited about it, to see it come together and be done, it brings tears to her eyes. She is really pas- sionate about it. She really wants people to have opportunities that she has never had or opportunities that she has had. I have never seen somebody that genuine about caring for others. I kind of look at her like Angelina Jolie. She is a humanitarian. On June 11, 2012, Tina Charles was honored with the WNBA’s Dawn Staley Community Leadership Award in recognition of her remarkable generosity and deep commitment to helping those in need. Just as she has on the court, she is redefining the standards for giving. In the winter of 2011, Charles paid $32,000 of her own money to un- derwrite the construction of a school in Ganali, a village in Mali, which is located in Western Africa. The school opened April, and it has three class rooms that can accommodate up to 150 elementary school children. It will also be used in the evenings for adult literacy classes. 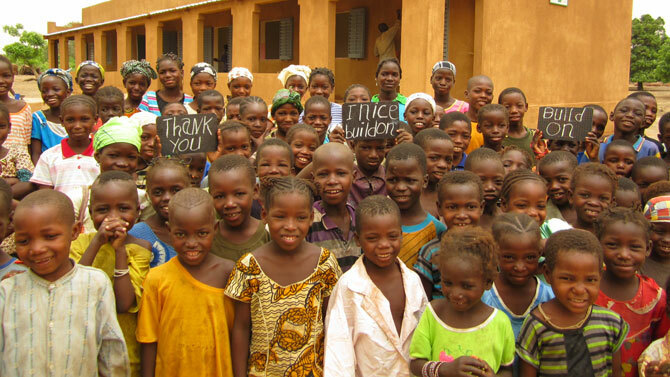 Based in Stamford, Connecticut, buildOn has constructed more than 453 schools worldwide, including 256 in Africa and 178 in Mali. All of the schools in Mali, where gender discrimination is a serious issue, have been constructed in villages where buildOn partners have agreed to send equal numbers of girls and boys to be educated. Prior to the opening of her school in Mali, Charles donated a shipment of athletic shoes she purchased from Nike to the girls’ netball, boys’ basketball, and girls’ and boys’ soccer teams at Saint Jago High School, which is located in Spanish Town, St. Catherine, Jamaica. Charles’ mother, Angella Murry, was born and raised in Kingston,Jamaica. Her grandmother, Naomi Holgate, was the principal of the Holgate Primary Basic School in Jamaica. Three of her aunts and one uncle graduated from Saint Jago High School, which received the shipment of shoes in January of 2012. In the winter of 2013, Charles gave $7,275 dollars to the Wes Leonard Heart Foundation which is dedicated to purchasing and distributing Automatic Exter- nal Defibrillators (AEDs) to schools around Michigan. She then gave $7,500 to the New York City Department of Education (DOE), to help enable the Office of School Health to purchase five AEDs. Tina also committed to funding three four-year secondary-school scholarships for girls in Africa through Connect To Learn, a global initiative dedicated to helping educate children in impoverished areas.